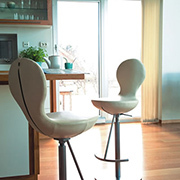 With its stylish design and supreme comfort Varier Eight is a real highlight. 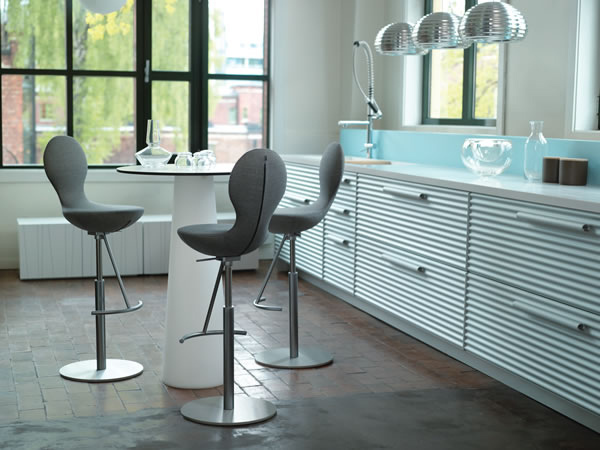 It is a perfect invitation for breakfast, supper times and get-togethers. 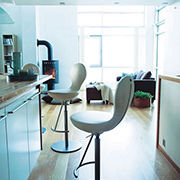 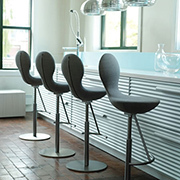 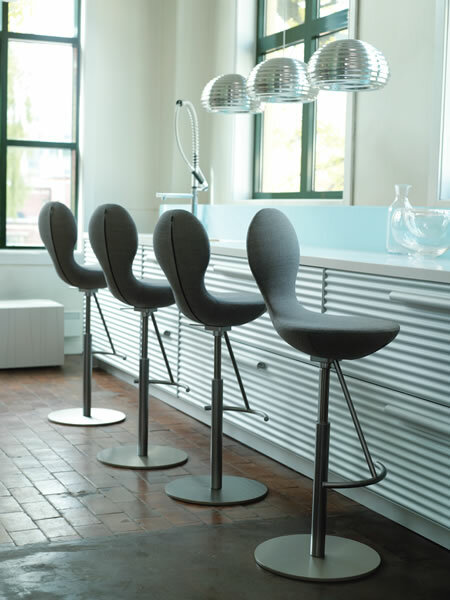 Whereas most kitchen chairs either have great design or comfort, Varier Eight has both. 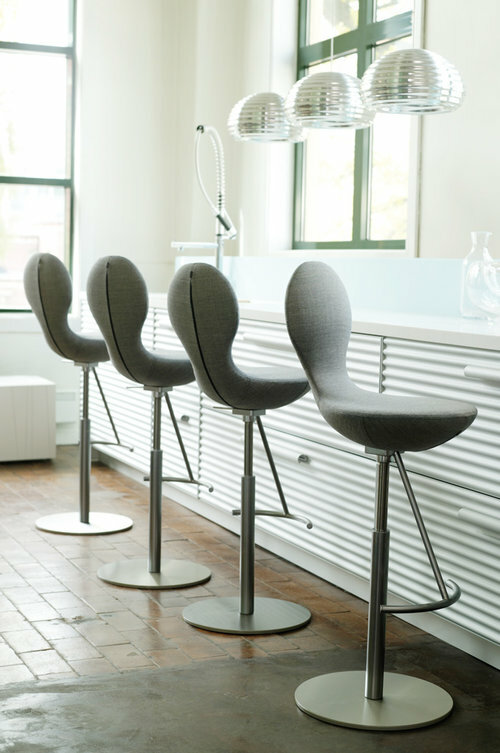 It is much more than just a modern stool for that quick drink or snack. 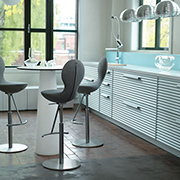 Varier Eight brings your kitchen to life with its outstanding comfort. 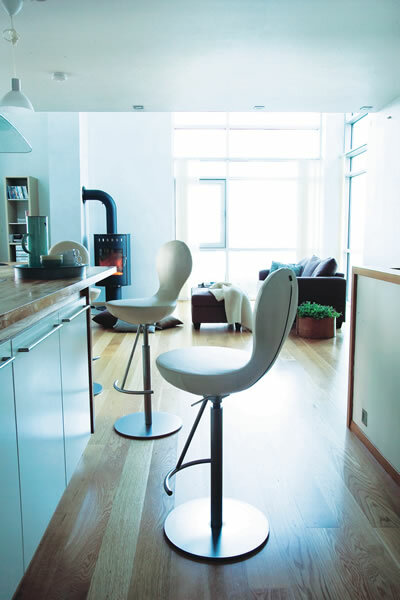 It takes you from 8 to 8, from the perfect breakfast, to relaxing dinner or supper times, to unwinding get-togethers with friends and family. 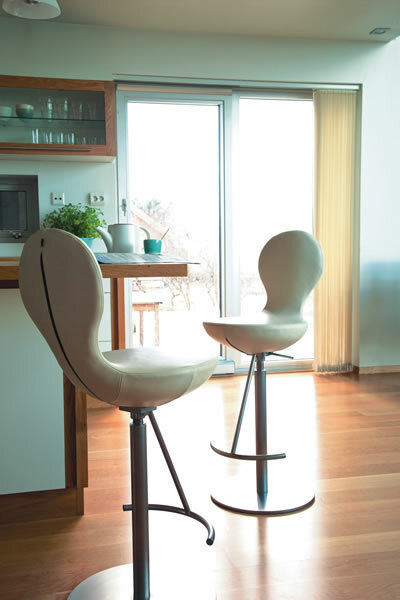 Varier Eight fits perfectly in your kitchen. 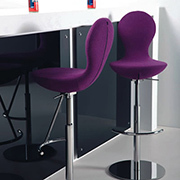 It is a genuinely innovative barstool that adapts itself to you, your daily tasks and timeouts and your stylish interior as well. 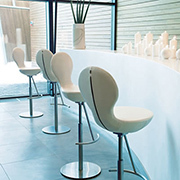 Varier Eight invites you and your guests to a real high-class seating experience. 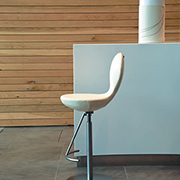 The hidden tilting-mechanism (8° forwards and backwards) allows you to sit freely and relaxed for hours. 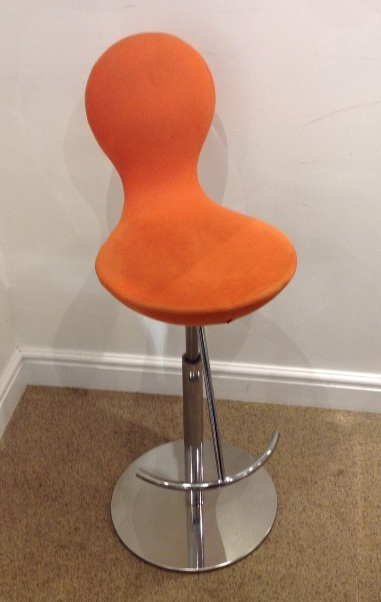 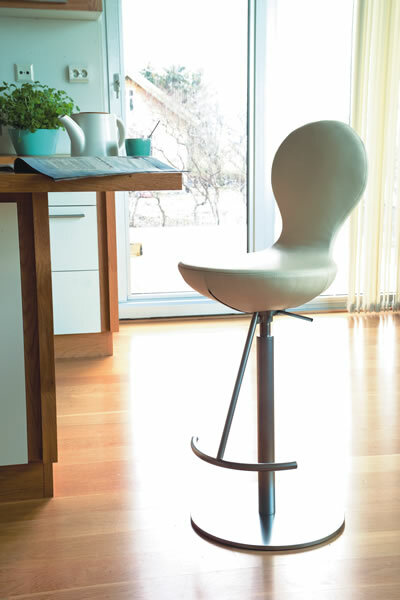 Varier Eight is adjustable in height for individual comfort at kitchen islands (90 cm high) and bars (110 cm high). 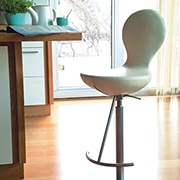 The gaslift offers a sitting height from 66-89 cm. 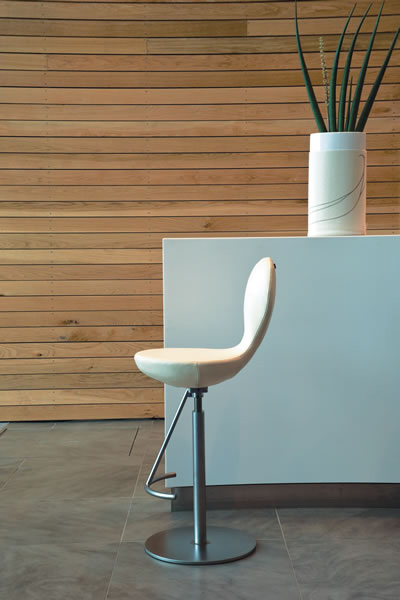 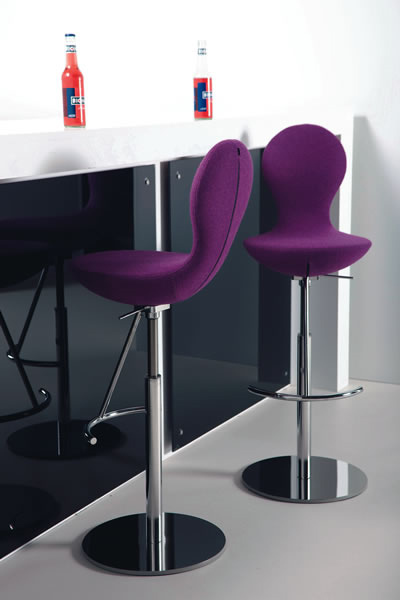 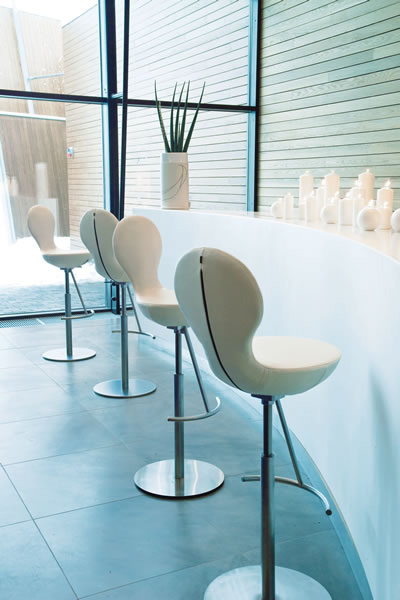 The swivel-seat with the affixed solid footrest of 16 mm steel, accentuates the comfort in every height.